Before going into today’s topic, I wanted to thank all of you who reached out and who commented on my newsletter from last week. I so appreciated you sharing how it deeply resonated with you and that you find yourselves in a similar space. I’m glad that it touched you and that we know we aren’t alone on our course of soul transformation and growth. And to today’s topic on getting messy…. 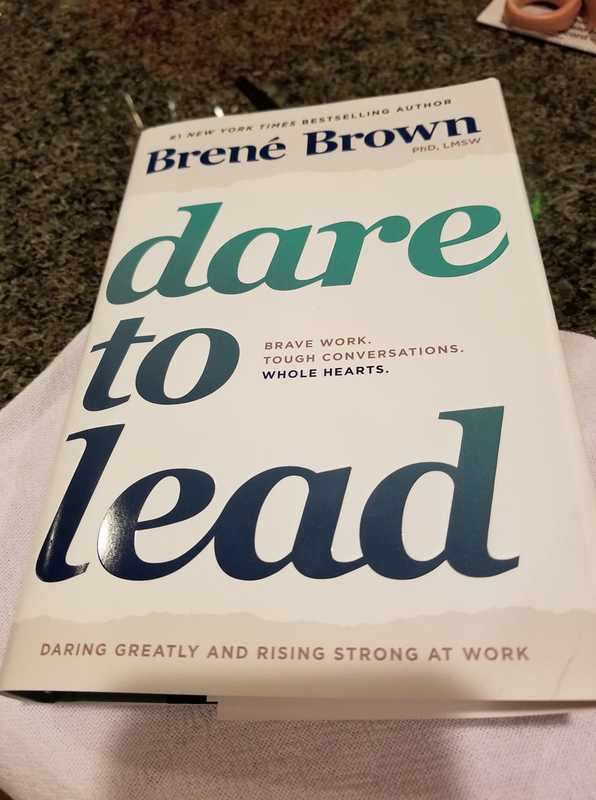 When I returned home this past Sunday from Brazil I was elated to find Brene Brown’s book Dare to Lead: Brave Work. Tough Conversations. Whole hearts. on my kitchen counter top. Last week, when I saw a colleague’s post about it on Facebook, the book literally popped off the screen and screamed: buy me! Thanks to a five hour time zone difference between Brazil and San Diego, I have been enjoying the book on my very early 5am morning wake up call with a warm cup of coffee allowing the book to soak in. The book is a practical and honest guide to the very learnable and practical tools and skills that we can use to be effective and perhaps more importantly human(e) leaders. What I know for sure is that many, if not all of us, are craving deeper, more meaning connection with ourselves, with others, to our work and to our souls. ….A true desire to be seen, to be witnessed, to be heard and to have safe containers where we can be ourselves and bring forth what is weighing on our hearts and minds and the genius of our souls. And with that comes a willingness to be with the messiness of it all. Earlier this year I realized my aversion and at times raw fear of mess and the many ways that I avoid it. The obvious, for those that know me intimately is with children. My slogan that children are loud, messy and never go away is triumphantly shared with anyone who asks me if I ever want to have children. The answer is NO, they are too messy. And while this is a bigger discussion, getting messy or avoiding getting messy in our lives, business, in our relationships is a real issue. I have often appreciated doing strategy work for clients because the mindset stuff feels “messy”. I never know where it will lead or if I will feel equipped to help them through to the other side. I do it and the vulnerability of it always leaves me uncomfortable. 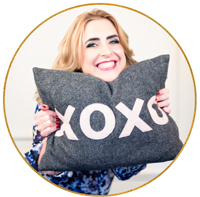 Sharing intimate thoughts about how I am feeling with my husband, a friend, a family member or even an acquaintance feels messy and vulnerable. The fear of being misunderstood, of conflict escalating, of hurting another gets in the way. And yet, the truth is that most of the great stuff in life is simple and sometimes messy. It’s jumping into the ocean knowing your hair is going to get brittle, you’ll have sand in your eyes and you may even cut your feet on a shell or broken piece of glass. It’s saying you are scared and sitting in the silence or awkwardness of what may or may not be spoken next. It’s the fear of saying the wrong thing and wanting to be liked and of fitting in. Getting messy can be saying you don’t know what’s next and knowing wholeheartedly that you are enough, that you won’t be destitute and that you will find a way through. Getting messy and vulnerable though, is the key to the deep connection, meaning and joy I believe we so truly crave. And it comes down to a willingness to be brave and to develop intimacy with ourselves (including the darkest and even ugliest parts of our shadow) and also to have tough conversations. I love how Brene shares practical tools to have these conversations which entails creating safe containers to do so. I have found especially in my marriage that when we both feel safe to share what’s on our hearts, our conversations flow because we know we won’t be judged. Compassionate listening – both to the beat of our own heart’s drum as well as to a friend can go a long way. Where can we listen a little more fully and speak less? This isn’t to mean don’t speak up because please do. But rather, where can you lean in and listen more. Where can I lean into the perceived “messiness” of what I am experiencing and stay curious as I allow the gold to emerge from this experience? Where have I shied away from what feels messy because I am uncomfortable with where it may lead or because I won’t know how to handle what comes up? You cannot mess this up (pun intended). Getting vulnerable, sharing our most intimate thoughts, feelings and fears can be messy. Being willing to bask in the fertility of the unknown is also courageous living. As I dive into Brene’s book, I invite you to read it yourself if it speaks to you. I thought it would be fun to gather on a zoom call in a few weeks to talk about the book together? There is no charge and I will pick a couple of dates and times and whatever works out best for people, will be the chosen option. If you’re interested, just REPLY “I’m IN” to this email so I can connect with you on a date and time. I already have a few women interested. This is open to anyone, male/female, different walks of life that want to connect and have an invigorating and exploratory conversation about our daring to lead. What I know for sure is that we are all inherent leaders with incredibly valuable contributions to make (and that we already make daily) in the world. Acknowledging our brilliance as leaders, our vulnerabilities and the messiness of all that leadership can bring up, is a first step to being more free and authentic leaders. In the Soul Leadership Archetypes body of work that was given to me a couple of years ago in the Akashic Records, Leadership is defined as Contribution. I love this definition for its equanimity and inclusivity. What our contribution looks like can and will likely change. Knowing that we have value, just by being, and that we get to forge our own path of leadership that works for us (first) as well as for others, is powerful. And lastly, what I also know for sure is that exploring our level of contribution in the world is an invitation to become deeply intimate (cue messiness) with ourselves and an opportunity to acknowledge the oneness that we belong to. Vulnerability and courage over righteousness and emotional barriers. I wonder what thoughts this post may have conjured up for you. I’d love to hear. Feel free to reply and tell me more. P.S. : More and more we are seeking meaning for our lives; contemplating “what I am truly here to contribute and what’s next?” and we want more soul. We want to believe we are leaders despite our hesitations if we only knew where to start. If you haven’t yet explored the kind of leader you are at soul-level, I invite you to figure out what soul leadership archetype you are and how you can start embodying and embracing your natural leadership style and traits: HERE. And if you did the assessment a while back, you may want to revisit it and see what pops out at you next. And if you want to understand your leadership style more intimately, you can book a private Soul Leadership Archetype 90 minute session with me in the Akashic Records where we will look very intimately at who you are as a soul leader, how this relates to your purpose, your work and anything “messy” that wants to be understood and released for your next stage of leadership. If you are interested, you can explore the session HERE.